This contest has ended. Thank you to everyone who entered! 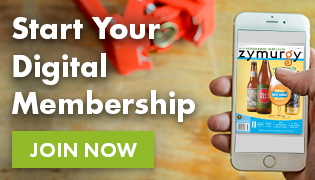 You can still register as a user on this website to participate on the AHA Forum and, for AHA members, to access AHA Members-Only content. Cheers! 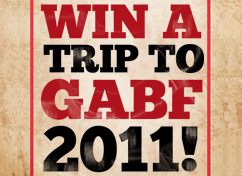 Register as a user of HomebrewersAssociation.org and win a trip to the 2011 Great American Beer Festival! To qualify for the contest, all you need to do is register as a user on HomebrewersAssociation.org. Register before midnight MST on November 30, 2010. Soon after, the AHA will pick a winner at random from all registered users of HomebrewersAssociation.org. It could be you! 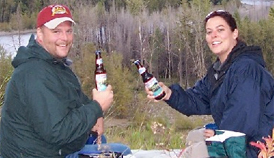 The contest winner receives airfare for two, 3-nights of hotel accommodations and two all-session passes to the 2011 Great American Beer Festival in Denver, CO, September 29 – October 1, 2011. See the Prize Giveaway Rules. 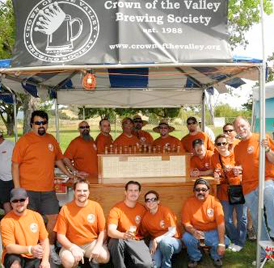 Register as a user on HomebrewersAssociation.org for great member content and you could win a trip for two to the 2011 Great American Beer Festival!